As you go through your pregnancy, it is normal to experience body ache here and there. This is expected because a baby is developing inside your womb and your body undergoes lots of changes. Part of the series of pain and discomfort during pregnancy is sciatica. The sciatic nerve pain during pregnancy usually comes in the second and third trimester. 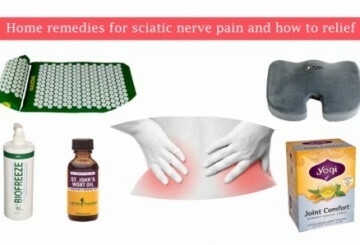 The occurrence of sciatica does not, however, mean that these stages will be purely painful and agonizing. There are ways and measures to alleviate and relieve the pain as will be discussed in the succeeding sections of this article. There are now two views as to whether pregnancy poses a greater risk of sciatic nerve pain. Pregnancy itself does not cause sciatica or put you at greater risk of injuring the discs in your spine. However, the physical changes that arise during pregnancy are considered suspects of sciatic nerve pain during pregnancy. Some posits that sciatica is caused by the baby pressing on a nerve as it grows. However, others dismissed this view and contended that a swollen nerve by reason of a damaged disc primarily causes sciatica. Your weight gain, as well as the expanding uterus, is also considered as contributing causes of sciatic nerve pain during pregnancy. Moreover, the release of the hormone relaxin, which opens the pelvis during pregnancy, may cause pain as it shifts the bone in the pelvic region. Sciatic nerve pain may arise as incidental to pregnancy and while there is no concrete way to prevent the same, there are ways and means by which a pregnant woman can alleviate the discomfort and pain. Even in the comfort of your home, you can introduce remedies to your body that alleviates the pain in the safest way possible. You can apply cold and heat on the affected area depending on which works for you. Some people get relief from the cold application like an ice pack while others find heat as effective. Hot and cold pack promotes blood flow through the veins. Heat opens the veins and allows blood and oxygen to flow while slims down the veins and reduce inflammation therein. You can also find product to relief pregnancy pain. Make sure that you get your posture right to prevent hurting the spine and the entire back. When your bump grows and you gain weight, the posture is affected. To help maintain a good posture, use a pillow or cushion to support the back while contouring your body in the right way. Sitting or standing for a longer period is likewise discouraged. If your work requires sitting, be sure you have pillow or cushion or take breaks in between. Also, use flat shoes to keep the spine safe while walking. Moreover, make sure your bump is properly supported by a support belt. If you are thinking of maintaining a healthy and active lifestyle, stretches and swimming are among the recommended activities for you. Stretching and yoga can relieve and relax stressed and tensed muscles while swimming makes you feel light and weightless. Just be sure to check with your doctor before engaging in any exercise especially when dealing with sciatic nerve pain during pregnancy. Sciatica usually occurs on one side of the body. When you sleep or rest, you can ease the discomfort by sleeping on the opposite side to relieve pressure on the nerve in pain. You may also try lifting your legs in an elevated height for proper blood circulation and alignment of the body. Using a pillow to support your back or side is also advised. Other than these home remedies, you can visit a chiropractor or physical therapist that can work with you on your sciatic nerve pain during pregnancy for relief.